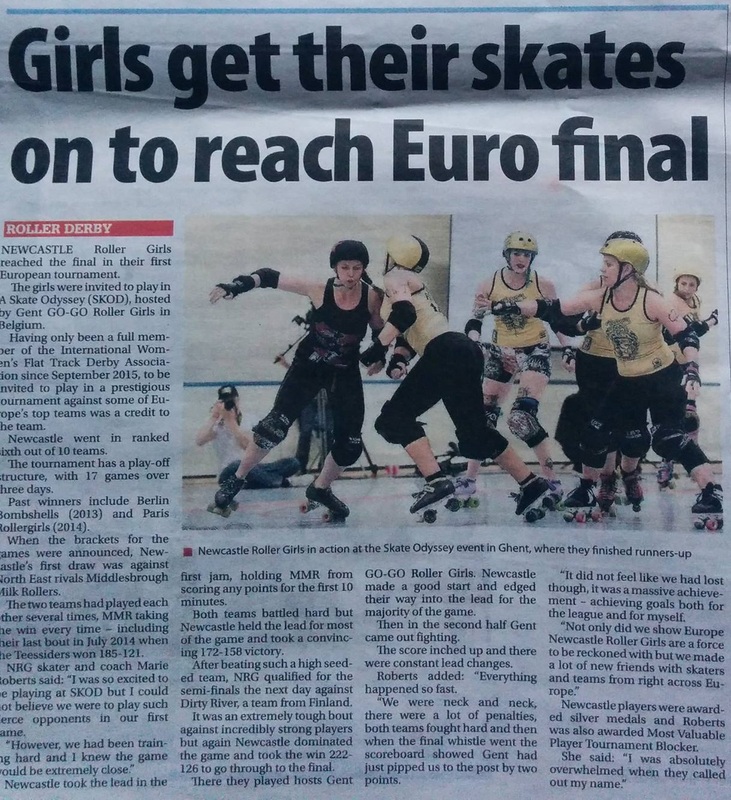 We had an amazing time at SKOD – big thanks to the Newcastle Evening Chronicle for this great write up of our adventures, from winning our first game against Middlesbrough Milk Rollers to taking the silver medal in the tournament final against hosts Gent-Go Go Roller Girls. Some changes in our training have seen us climb the rankings this year and fresh from our adventures at SKOD, our head coaches want to share what we’ve learned with you. We’ll be running a bootcamp at the Dome this summer with a whole load of tactics tried and tested at SKOD, including resisting offense, sharpening up your footwork, wall work and strategy. 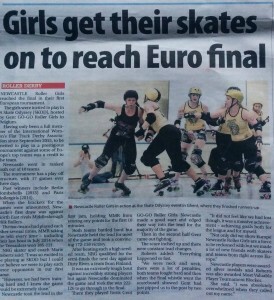 Previous PostBelters’ British Champs win & get set for SKOD!Next PostNRG Canny Belters are crowned Northern Champs!